The largest multi-arts festival in the country, Pasinaya Open House Festival begins its three-day affair tomorrow. The three-day Pasinaya 2019 features more activities and performances. Registration for today’s Palihan, the “Experience-All-You-Can, Pay-What-You-Can” part of the festival, starts at 6:30 a.m., at the CCP Ramp and Little Theater lobby. For a suggested donation price of P50, participants may go in and out of the different CCP venues to attend the 30-minute workshops in various art disciplines conducted by leading artists, resource persons, and teachers. There will be two days of Palabas, with more than 3,000 artists from different fields such as music, theater, dance, spoken word, and visual arts. On Feb. 2, performing groups and artists from Bulacan, Quezon, Boracay, Laguna, Cavite, Tarlac, Batangas, Bicol, Rizal, Pangasinan and other provinces in the Philippines will take center stage. The center’s resident companies, namely the Ballet Philippines, the Philippine Ballet Theater, the Philippine Madrigal Singers, the Philippine Philharmonic Orchestra, the Ramon Obusan Folkloric Group, Tanghalang Pilipino, the UST Symphony Orchestra, and the National Music Competitions for Young Artists will present their season’s offerings on Feb. 3. Another highlight of the festival is the museum-hopping, featuring various partner museums around the metro. This year's new museum partners are CSB Center for Campus Art and Calle Wright. There will also be film screenings, visual arts exhibitions in the various CCP galleries, Arts Market at the Little Theater Lobby, and tiangge in the South Parking area, among others. 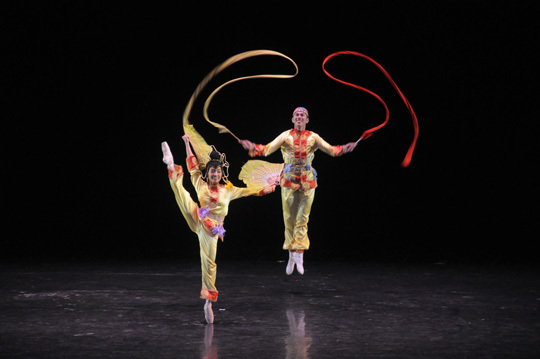 The festival will culminate with a parade, featuring performances of the CCP resident companies and other guest artists. Call the CCP Marketing Department at (02) 832-3704 or 832-3706, or visit www.culturalcenter.gov.ph for more details.